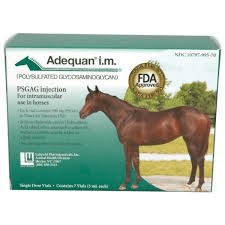 Adequan may hit the shelves much earlier than originally expected. Luitpold Animal Health announced a revised target date of late August for the re-release of the company’s products to the market. Luitpold said in a press release it has been working closely with the Food and Drug Administration to ensure that Adequan is made available as soon as possible. As a result of the efforts, the target date for product availability was changed. The previous release date was after January 2014. Product shortages were due to renovations and upgrades to Luitpold’s Shirley, NY manufacturing facility after the company received a warming letter from the FDA in 2011. 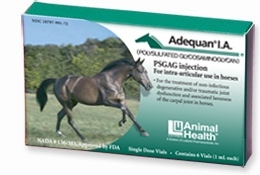 Adequan® IM and IA are the only polysulfated glycosaminoglycan (PSGAG) approved by the FDA for the treatment of non-infectious degenerative and / or traumatic joint dysfunction and associated lameness in horses. If you have questions, you can call the company’s customer service department at 1-800-458-0163.